Whenever there is a release of Guruji Trivikram’s movie, hype surrounding it is more than any other director. His pen power has the stamina to break all the records which proved with Pawan Kalyan and Samantha starrer “Attharintiki Dhaaredhi”. After that he teamed up with Allu Arjun for S/o Satyamurthy and has tasted another success. After that he teamed up with Nithiin for A Aa, touted to be a love story with family values. It is releasing tomorrow which is produced by Radhakrishna, which has Samantha, Anupama and others. Let’s see how it works on us!! 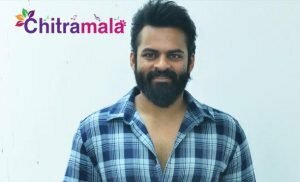 Anand Vihari (Nithiin) runs a food business. Anasuya Ramalingam (Samantha Ruth Prabhu) is a rich daughter of Ramalingam couple (Naresh and Nadiya). 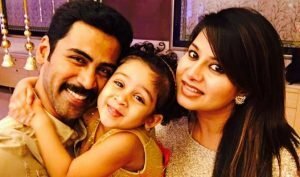 Anasuya Ramalingam is sister in law of Anand Vihari of which both the families are not in good terms. Anasuya goes to Anand’s house with the help of his father for 10 days, during which she falls for Anand. Nagavalli (Anupama Parameswaran), who is a daughter of Pallam Venkanna (Rao Ramesh) loves Anand Vihari. To whom Anand Vihari is married and how he unite his family with Ramalingam‘s family forms the rest of the story. Nithiin has done a superb job as Anand Vihari. He tried some different slang in some scenes. Samantha Ruth Prabhu is terrific as Anasuya Ramalingam, a daddy’s daughter and a mischievous girl. She is the show stealer. Naresh is nice as Ramalingam father of Samantha, who is always a supporter of his daughter. Premam girl, Anupama Parameswaran did a fine job. She lent her own voice for her character which enhanced her character. Nadiya is at her as usual best as a rich mother. Srinivasa Reddy is good as personal assistant of Nadiya. Rao Ramesh as Pallam Venkanna is fantastic and his character is etched well which he enhanced further with his performance. Posani Krishnamurali is nice. Jayaprakash who did a small role as father of Nithiin is good. Mangamma chaaracter performed by serial artist is good. Other characters has done well. Story of A Aa has love and family values packaged which is good. Dialogues are superb and screenplay is good but slow at some places. Songs composed by Mickey J Meyer are fantastic. They are well received by the audience and are picturised well. Background music is nice. Music director has done a nice job. Cinematography by Nataraja Subrahmanian is nice. He showed villages locales in a rich and colourful way. Editing is nice. Action choreography is good. Production values are rich. Movie begins with Samantha and her voice over. First fifteen minutes where all the characters are introduced is a bit slow. This first half is filled with love, comedy and bonding. 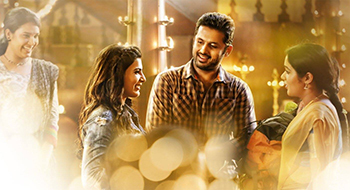 This half ends where Samantha returns back to her home with a fresh version of her in love with Nithiin. This half is entertaining and good. Second half begins with entertainment and entertainment for first fifteen minutes, after which it goes into flash back mode and screenplay goes a bit low. Climax is good and emotional. Characters written by Trivikram are so deep and have their own conflicts inside.Trivikram has done a good job with dialogues but definitely not at his best. Screenplay written by him is racy at large and slow at some places. His direction and narrative skills are proved once again. He has done a fantastic work. This is another family entertainer added to his list of works with back to back family entertainers. To sumup, A Aa is a sureshot hit from Guruji with Nithiin and Samantha.